Maximillian Malligigg, a former second-master and navigator of a Vrusk freemerchant ship, has hired you for a private expedition to an uncharted planet he calls Starmist. During his last voyage, Malligigg made an emergency landing on Starmist. The planet was within the normal range of for all races. Something ancient and powerful is hidden inside the pyramid constructed by a primitive alien culture. The crew of UPF Centispeed must discover what it is to save the planet. The ship that Max and the player characters use to travel to Starmist is the VSS Last Legs (alternatively spelled Last Leggs). Aside from Max, there are no crewmembers of the Centispeed in the adventure. That's two mistakes in the module's cover description; not a good sign. The surface of Starmist is frozen and uninhabitable; however, “Huge rifts formed in the surface, much like gigantic canyons, many of them miles deep.” Eventually, “Water and atmosphere collected in the rifts and they slowly became habitable.” When the Centispeed made an emergency landing in one of these rifts, the crew encountered “a predominantly nomadic culture” and Max came across a sample of processed metal beyond that culture's ability to create. Given “an official expedition would be sent to Starmist soon following his captain's report to the authorities,” Max arranged for a private expedition so he could reach Starmist beforehand. “If he could find evidence of a lost civilization, and perhaps locate some artifacts,” Max thought, “he could become a wealthy man” (or at least a wealthy Vrusk). Max has retained the services of the player characters for an undisclosed amount. 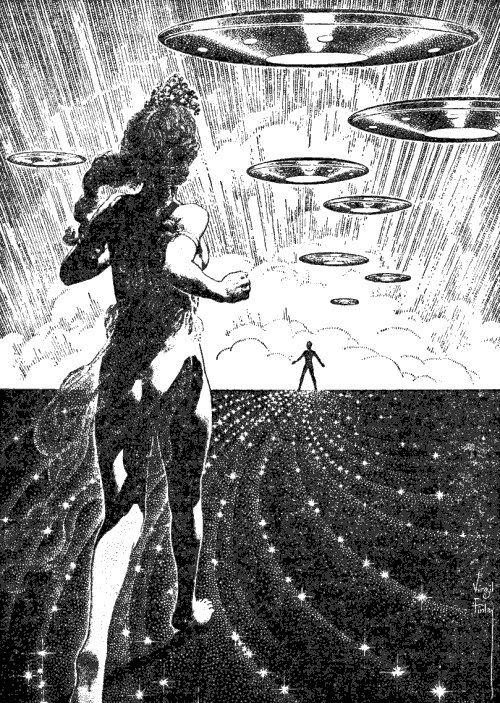 The sentient (but primitive) beings on Starmist are called Heliopes. This suggests some affinity for sunlight, like maybe they're lethargic at night. In this way, the phrase “Sundown on Starmist” would be meaningful. This is not the case. First, Heliopes are not associated with sunlight; no reason for their name is given. Second, “Sundown” is the name of the sun. Seriously, who names a sun “Sundown”? The module's title makes no sense. I mean, they could have called it The Secret of Starmist. One might think that the blue cyclops on the cover represents a Heliope. Maybe it's supposed to be a Heliope, but the pictured entity does not conform to how Heliopes are described in the text. They have no hands, but instead possess “two pincers, slightly rigid, with a sharp nail along the edges.” Their “feet are large, long, and splayed.” They have mandibles and translucent skin. Also missing from the tail are characteristic painted designs. The image clearly depicts two moons; however, the text emphasizes, “The nights are very dark on Starmist because there is no moon and few close stars.” Yet an interior illustration shows two moons. Also, where did this non-Heliope obtain human skulls? So, Max and the player characters land and travel overland to the single Heliope village. On the way, “nomad Heliopes...attack and village Heliopes...come to the rescue.” When Max was on Starmist previously, he learned the Heliope language. One can suppose that, having Max as a translator, the player characters can communicate with the Heliopes. However, Heliopes and the PCs can communicate with one another when Max is not present. The only exception to the ability to communicate happens in Village Encounter 11 for some reason. Otherwise, we learn that “the Heliopes will be friendly and curious about [the player characters]; however, they shy away from Vrusks.” Their attitude toward Vrusks might be explained by a racial memory of the Clikk slavers. Yet if this is the case, why did they interact with Max? The Heliopes developed a religion featuring Clikk relics. Of course, the piece of metal Max found was left behind by the Clikk, but neither he nor the player characters ever learn about the Clikk or the history of the Heliopes. The module relates that, “Massive tools and heavy structural members from the Clikk ship are corroded and broken from age and lack of proper maintenance.” However, the Heliope aristocracy possess “sophisticated” weapons that are still functional after six centuries despite “lack of proper maintenance.” Acquisition of ammunition does not seem to be problematic. Also fully functional is the War Tank. The tank is provided with a special security device to keep it out of enemy hands. Once the tank is under power, the code must be entered daily from the captain's position; otherwise a self-destruct sequence is activated. At some point, the priests kidnap Max, requiring that the player characters invade the priests' river complex. “Most important,” during the incursion, “the PCs must obtain one of the black and red rods which will give access to the tank.” The next required encounter is an attack upon the village by Self Addressed Stamped Envelopes – no, wait – in Star Frontiers, S.A.S.E. means Sathar Attack Simulacra Exterior. These should not be confused with Sathar Attack Simulacra Interior but, honestly, the differences between the two seem negligible. According to page 7, the attacking 'robots' appear to be “four Heliopes who seem to be moving without quite touching the ground.” However, according to page 24, both S.A.S.E. and S.A.S.I. have “secondary tentacles” (which implies the presence of primary tentacles). Heliopes don't have tentacles. During the day the players will see the hologram...The hologram projects an image of the bluff and rolling hills as well as the pond. At night the holograph is turned off and the PCs will be able to see the buildings by means of night vision or a light. A while ago the planet was discovered by the merchant ship carrying Maximillian Malligigg. Alarmed, the Sathar decided to use the delay between the time they sent their official report and the resulting investigation to evacuate the base. When the warships arrive and after evacuation is complete, the Sathar plan to destroy all lifeforms on Starmist. The Sathar will let the PCs land since they plan mass destruction anyway, but they will shoot the PCs down if they try to leave. The Sathar base has a weapon “capable of shooting down aircraft and/or spacecraft in orbit.” Through the simple expedient of shooting down the original merchant ship, the Sathar could have obviated the need to evacuate their base and “destroy all lifeforms on Starmist.” Also, just because “you plan mass destruction” at some point, people you allow to land aren't prevented from foiling your evil plans. Upon infiltrating the Sathar base and reaching the power room, player characters – assuming they have appropriate skills – “will be able to determine that the [nuclear power] unit will explode in three hours.” How or if the base personnel planned to survive is not disclosed. Nonetheless, should the base commander perish the base will self-destruct in twelve hours (according to page 17) or merely one hour (according to page 20). In a comment for last week's post, Down Under reader Konsumterra referenced the Star Frontiers psionics rules as presented in Arēs magazine. This week we discuss said rules. Arēs Special Edition 2 was published in Spring 1984, more than a year before the release of Zebulon's Guide to Frontier Space. By this time, Arēs was published by TSR but had not yet been reduced to a mere section of Dragon. When characters are generated, each player must roll for an additional ability score, Psionic Ability (PSI), using the same die-rolling procedure as used for any other score. There are no racial modifiers for this roll, although Human characters can add their 5-point bonus to this score, and it is not “paired” with any other ability. In every other respect, PSI is treated as a normal attribute. There is a Psionic Primary Skill Area with each psionic ability represented as a separate skill. A character can have a maximum number of psionic skills “equal to his PSI score divided by 15 (rounding fractions to the nearest whole number).” Characters can have expertise (i.e., above Level 4) in a maximum number of psionic skills “equal to their PSI score divided by 25 (dropping fractions).” In terms of cost, psionic skills are more expensive than Biosocial skills. Using a psionic ability requires the character to expend Psionic Energy Points (PEPs). The number of PEPs a character has “is equal to the average of his PSI and (unwounded) STA scores.” Recovery occurs “at a rate of 3 per hour of rest, or 1 per hour of activity.” Successful use of psionic abilities requires concentration. 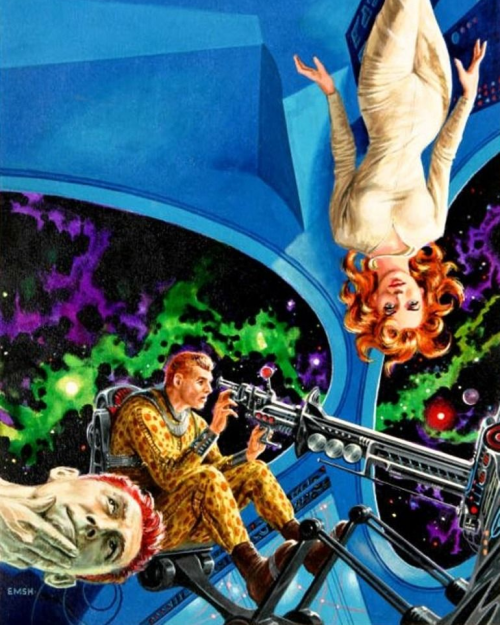 “Any violent shock,” we read, “has a chance of disrupting a psionic's concentration and ending a talent's use prematurely.” The psionic can attempt to maintain concentration with a LOG ability check. 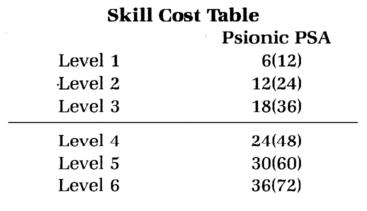 Like normal skills, psionic skills have a percentile success chance enhanced by the character's skill level. Failure means “the character will only lose half as many PEPs as would have been expended had the ability been successfully used (round fractions up).” Seven psionic skills are presented. Clairvoyance: The character can view “a person, place, or object” at a number of meters equal to ten multiplied by skill level. At level four, the character can also hear the target. Telekinesis: “This is the ability to move objects merely by thinking about it.” The description references a table that is supposed to indicate modifiers based on mass; however, the actual table lists intervals of time. The 'mass' table actually appears in the Teleportation description. 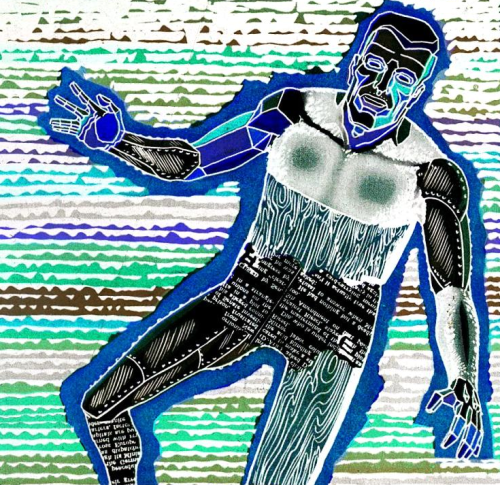 Teleportation: The character can “instantly transport himself...to any spot of his choice within his line of sight.” Contrary to the notion of “line of sight,” there are modifiers for teleporting to locations the character cannot see. The referee should determine how psionic skills are acquired by a character. It may be necessary for someone to seek out a psionic mentor...or a psionic organization that will train him properly. Either way, an interesting series of adventures could be set up in which adventuring groups hunt for such sources of information. Does Mattson mean that beginning characters cannot possess psionic skills? Perhaps he is referring to skills acquired after character generation (and/or improving beginning skills). 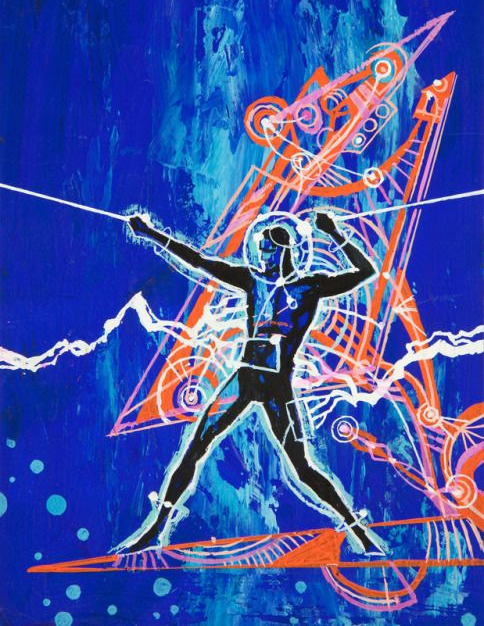 A seven-page section of Zebulon's Guide to Frontier Space is devoted to “the concept of mental powers, often referred to in other role-playing games as psionics.” The Introduction to this section emphasizes the optional nature of these rules. We are told that the referee need not “include these options in his game, and if he does omit them, it will not unbalance the rest of the system.” This leads one to wonder if including the rules will unbalance the rest of the system. 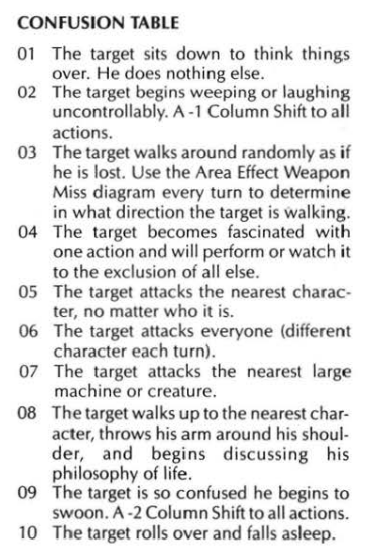 In fact, three paragraphs later, we are warned that incorporating the rules “will...require more care in balancing the campaign.” There is an option of limiting mental powers – the Guide refers to them as 'disciplines' – to non-player characters; either “to an NPC race or character type.” Also, “In a future volume of Zebulon's Guide to Frontier Space, some creatures may even have the option to use a mental discipline for communications or attack.” As indicated in the previous post, the publishing of further volumes was a forlorn hope. There are two types of characters who can use disciplines: Mentalists (characters belonging to the Mentalist profession as opposed to the other professions) and enlightened (characters belonging to one of the usual professions). During character generation, a Mentalist's Logic ability score can be increased to “between 75 and 90” by decreasing other scores on a one-to-one basis. First, Strength and/or Stamina can be reduced. Once both of these abilities are decreased to a value of thirty, “then the points can be taken from any other ability.” A beginning Mentalist receives three disciplines/levels plus an additional discipline/level for every five points of Logic over seventy. So, a Mentalist with a Logic score of 84 has five disciplines/levels to allocate. This could be five disciplines at one level each, five levels in one discipline, three levels in one discipline and two levels in another, or any other combination. Just like skills, disciplines have levels and Mentalists can purchase new disciplines (or increase the level of an existing discipline) by spending experience points in accordance with the Skill Cost Table. The referee determines how discipline improvements manifest; either training and/or practice is necessary (like skills) or the discipline/level “comes naturally” to the Mentalist. Beginning characters have twenty experience points to buy skills. Presumably, this also applies to Mentalists and, also presumably, they can use those experience points to acquire or improve both skills and disciplines. Like other professions, Mentalists have a list of skills; however, the list for Mentalists is rather modest. Also, while other professions can purchase skills outside their list at a non-professional skill cost (which is twice the normal cost), Mentalists can only acquire skills from their list and they must pay at the non-professional cost. Characters must pay ten points to join a profession, whereupon they receive an automatic skill that allows them to improve appropriate attributes. Apparently, Mentalists don't pay ten points and there is no equivalent automatic skill. Although we are admonished that “disciplines should never be confused with skills,” the title of the section is “Mentalists: The Optional Skills and Profession.” We are told, “A Mentalist has profession discipline costs and non profession discipline costs.” This is confusing in that there are no non-profession disciplines for Mentalists. A beginning, non-Mentalist character with a Logic score of 80 or greater can be enlightened. Such a character has one discipline/level for every five points of Logic in excess of 75. During play, should an enlightened character's Logic be improved to a new five-point 'mark', he or she obtains a new discipline/level; no training is required. A discipline/level is retained if the character's Logic score is somehow reduced below the amount required to attain that discipline/level. Enlightened characters may not use experience points for disciplines. Another asterisked discipline is Density, through which the character can increase or decrease his or her “body density.” Additional asterisked disciplines include Trance I and Trance II. Trance I allows a character to lower his or her metabolism while Trance II permits an increase of metabolism. Why have one discipline that both lowers and increases density, but then have different disciplines for raising and lowering metabolism? If the alien is extremely evil, or has a mind that could be incomprehensible to the character attempting to reach it, the referee might decide that a logic check is in order before any communication is attempted. If the user fails the check, he may be disoriented, stunned, at the alien's mercy, or even mortally wounded, depending on the alien and the referee's discretion. ...an encyclopedia compiled by the University of Zebulon documenting all the known flora, fauna, cultures, devices, and history of the Frontier in one place. The handy Ceretronix Pocket 1200 version quickly became a necessary piece of equipment in every pioneer's and spacer's kit. Zebulon, of course, is one of the star systems in the Frontier (and doubtless named after Dave “Zeb” Cook). Specifically, the Zebulon system contains Volturnus. The university is based on Anker, another planet in the system. According to the Zebulon timeline, Professor Alorne Zebulon discovered the Zebulon system 61 years prior to the establishment of the United Planetary Federation (and 66 years prior to the creation of Star Law). Four years after discovering the Zebulon system, the professor established the University of Zebulon. However, Crash on Volturnus states that, “The Zebulon star system was first investigated... by an unmanned exploration probe” and this “probe indicated that Volturnus was the only inhabitable planet in the Zebulon system.” Also, Crash on Volturnus takes place within a year of the first manned expedition of that system – an expedition that did not include Professor Zebulon. There is no attempt to reconcile these conflicting facts. It's almost as if the Star Frontiers creative team did not anticipate that – 30-40 years in the future – people with nothing better to do would use a global communications system to nitpick the continuity of the game's milieu. Despite the claim above, Zebulon documents neither flora nor fauna. Zebulon has “Volume 1” as its subtitle, suggesting further volumes. Perhaps flora and fauna would have been covered in one of these anticipated volumes. However, published in 1985, Zebulon was one of TSR's last Star Frontiers products. More than a mere accessory, Zebulon was hailed as a “major new rules expansion!” in the coming attractions of Dragon #102. 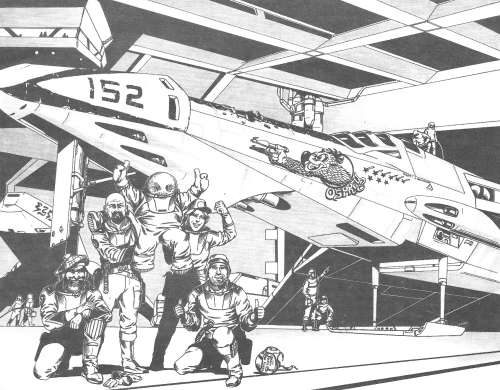 In effect, Zebulon was a new edition of the Star Frontiers rules. Unfortunately, it was also Star Frontiers' swan song. Zebulon offers a universal resolution system based on a table with nineteen columns. Generally, each column represents a skill level; however, there are columns for both positive and negative extremes (above +10 and below -5 respectively). There is also a “/0” column to the right of the “0” column. In the original rules, skills have a maximum of six levels. With the Zebulon rules, the maximum level is eight. Percentile dice are still rolled, but instead of percentile modifiers, there are “column shifts” on the table. Each column represents a modifier difference of 10. “For example, a + 20 bonus in the Alpha Dawn rules now becomes a + 2 column shift.” Use of the table allows for degrees of success, each degree conforms to one of four colors. 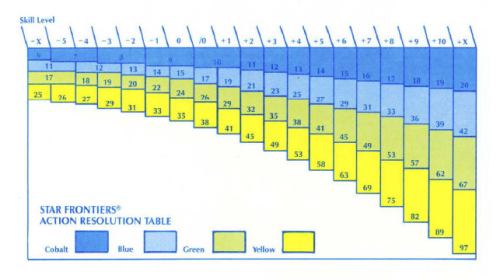 In order of decreasing result, the colors are: cobalt, blue, green, and yellow. In terms of combat, damage is determined by the color result of a successful attack. A cobalt success inflicts maximum damage. Other possibilities include blue (¾ damage), green (½ damage), and yellow (¼ damage). A character without training in a given weapon can attempt to use the weapon on the “0” column; positive modifiers cannot improve a roll to the right of the “/0” column. The original rules offered a selection of thirteen skills (with associated subskills) among three Primary Skill Areas. Zebulon treats each subskill as a distinct skill and adds many new skills so that over 120 skills are now available for characters. In terms of character creation, a beginning character has twenty experience points “gleaned from years of study, practicing, apprenticeship, or whatever.” These points are used to join a profession and acquire skills. Professions are a new concept in Zebulon. We learn that, “A character must belong to one of these professions and may not leave it at a later date.” Each profession has a list of skills associated with it. Entering a profession costs ten experience points and a character “must spend his remaining experience points on any of his profession's skills.” Rather than having twenty experience points and necessarily spending ten of those to enter a profession, why not have characters join a profession at no cost and give them ten experience points to spend on profession skills? The main professions are: Enforcer, Techex (“Technical Expert”), Scispec (“Science Specialist”), and Explorer. A Mentalist profession is discussed separately in Zebulon. The Spacer profession is “for campaigns using the Knight Hawks game rules.” There is no other mention of the Spacer profession. The spaceship skills are not defined in the Zebulon skill section and there is no discussion of how to conform the spaceship skills to the Zebulon paradigm. Each profession has an automatic skill: Enforcer - Endurance, Techex - Agility, Scipec - Intelligence, and Explorer - Charisma. Each of these automatic 'skills' gives seven points to be allocated between a given ability pair: Endurance (Strength/Stamina), Agility (Dexterity/Reaction Speed), Intelligence (Intuition/Logic), and Charisma (Personality/Leadership). The cost of learning and improving skills is indicated on the Zebulon Skill Cost Table. There is a column for skills within one's profession and a column for skills outside one's profession. The first level of a profession skill costs one point, the second level costs an additional two points. Each level after the second costs an additional two points. Thereby, the eighth level of a professional skill has a cost of fourteen points. The cost for non-professional skills is double that of professional skills. Some skills do not have levels beyond the first; success is automatic if these skills are purchased. Examples include 'Climbing' and 'Chef'. Player characters are supposed to be recruits in the Clarion Royal Marines. Clarion – called Gollywog in Star Frontiers Expanded Rules – is in the eponymous White Light system. Since the star's color is red-orange, the name 'White light' is hardly intuitive. 'Royal' implies royalty and – appropriately – Clarion is described as a “capitalist monarchy.” The reigning king is Leotus XIX and we learn, “The Leotus line has held the throne for nearly 400 years.” This suggests that the age of space exploration is at least four hundred years old. (Humans are not native to the planet as we are told, “No native animal life has been discovered on Clarion.”) Not everyone is happy with the monarchy; the Liberation Party holds twenty to thirty seats (out of one hundred) of Clarion's parliament. A starship arrives at Clarion Station about once every 100 to 200 minutes. Shuttles leave for the planet even more frequently. This heavy traffic brings thousands of characters of all four races through the station, so huge crowds can be seen mingling about on the business deck at all hours. The referee can stretch his imagination describing hundreds of beings going about their business with frantic haste. Among the various recreational businesses on the station, there is the 'Dance and Dice'. This establishment “is a favorite hangout for spacers of all types.” Rules for dancing are not provided, but if player characters are inclined to gamble, the following table is presented. There are rumors that the dice at the 'Dance and Dice' are not always honest. The referee should feel free to alter any result he does not like. Of course, the club keeps a number of 'Goons' on hand to reason with players who do not understand or appreciate such tactics. Player characters function as a boarding party, checking ships for contraband. The penalty for importing addictive drugs is “10 to 20 years in prison.” For importing heavy weapons, the punishment is “Death by vacuum.” Also listed among contraband is “Raw Uranjum,” which I presume is a typo for uranium, one of Clarion's natural resources. Gamma Subsection 2 relates, “The characters should be allowed to search several ships that are carrying legal cargo before encountering the smugglers.” The 'smugglers' are the focus of the first scenario; they are transporting “a variety of weapons...[which] are hidden inside robot bodies in the cargo hold.” The weapons are intended for “Liberation Party rebels,” illustrating the extent of opposition to Clarion's aristocratic rulers. In the next scenario, the Osprey attempts to save a freighter from the depredations of a pirate corvette. Maybe the player characters are successful in this regard or maybe they're not. Regardless, the pirates escape. Eventually, “a wildcat miner operating in the asteroid belt” will inform the Royal Marines of the location of the pirate base. As a result, the Marines mobilize against the pirate base and a battle in the (two-dimensional) asteroid belt ensues. In the fourth scenario, the non-player character lieutenant in command of the Osprey is revealed to be a Sathar agent (which is another offence punishable by “Death by vacuum”). The player characters are at a disadvantage as the lieutenant brings the Osprey alongside what turns out to be a Sathar freighter. Should a player character look out a porthole, he or she can tell that the freighter is a “sinister object” if an Intuition check is successful. 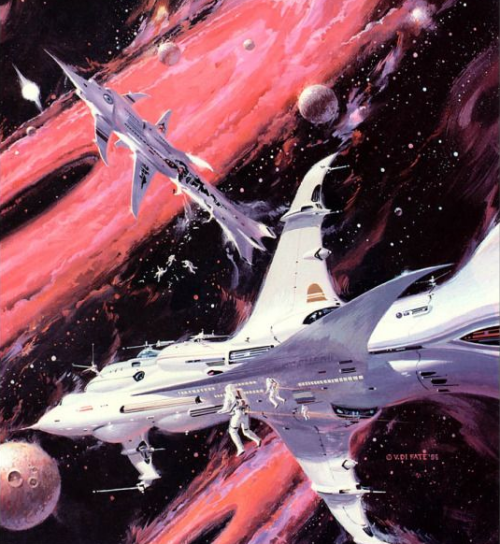 By the time player characters participate in the fifth scenario, they “should be able to earn 15 or 20 experience points.” This is because that scenario “is designed for characters with at least 2nd level spaceship skills.” There is an assumption that player characters will spend their experience points on improving spaceship skills as opposed to improving other skills, acquiring new skills, or raising ability scores. Incidentally, the final scenario is a battle against Sathar destroyers. ...all charge 4% interest compounded every 40 days. This is about 23% per year. This high interest rate is justified by the volatile economy in the Frontier and offset by the possibility of making a quick fortune. A character's reputation determines the maximum amount of money a bank will loan. Reputation is measured in “good deeds.” Examples of such deeds include “capturing pirates, killing Sathar, [and] saving a child's life.” These deeds must be publicized: “a character who who performed heroic deeds in a remote corner of Frontier cannot expect the loan officer to know about them.” With two good deeds, a character can obtain a loan of ten thousand Credits; with five good deeds, 100,000 Cr. If, in addition to the five good deed minimum, a character “has performed a truly spectacular task, such as saving a city or colony at great risk to himself, [he] can apply for a loan of 500,000 Cr.” A low-end starship can easily cost 500,000 Cr, so gaining a reputation sufficient for borrowing enough money to buy a ship is not easily accomplished. ...are common in any populated area of the Frontier. All banks and spaceports, and most stores, restaurants and other businesses have tracer scanners at their entrances. They are standard equipment for police officers. If a “character skips payments and does not respond to warnings,” scanners will active an alarm when they detect the character's tracer. “Because banks offer large rewards for the capture of loan defaulters,” we learn, “police and independent loan agents will close in on the character immediately.” We also learn that the implant is not easily removed: “No reputable hospital or medical clinic will remove an implant unless the operation is authorized by the bank.” This would seem to be a money-making opportunity for amoral characters with Medical Skill. Essentially, characters “sell stock in their business.” Characters “must deliver dividends to its shareholders” at regular intervals (“200 or 400 days are common”). A corporation or research group may be willing to sign over a ship's title to characters who use the ship on an extremely dangerous and important mission. Ships “found abandoned and adrift in open space is the property of whoever salvages it.” Of course, you must already have a ship so as to reach a ship to be salvaged. Any characters trying this should meet a lot of resistance, both from the ship's crew during the hijacking and from port authorities and the Star Law Rangers after the hijacking. As a last resort, the referee can intervene in the players' behalf with some miraculous event ('Your rich great-aunt just died and left her mining ship to you. After all, it is a family heirloom.'). Only the best of the best of the best in various terrestrial professions have the chops to learn space skills. Test pilots and aces are allowed near the controls of spacecraft. No one else can cut it behind the wheel of these multi-zillion credit wonders of technology. If you want to be trusted with the cannon on a spacecraft you need to prove that you've mastered smaller weapons. I would have an easier time buying into this analogy if there weren't space pirates. I mean, if people with spaceship skills are so valued, there's little reason for them to turn to piracy. Also, I don't want my escapism tempered by rationalizations. 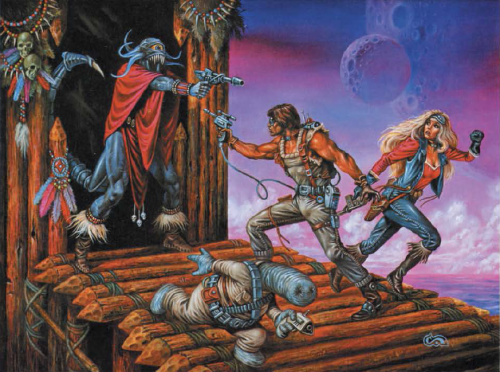 Beginning characters in other space opera games can pilot space ships, why should it be so difficult in Star Frontiers ? On the other hand, beginning magic-users can't cast Fireball, so perhaps a reasonable argument could be made that beginning Star Frontiers characters need not have access to spaceship skills. 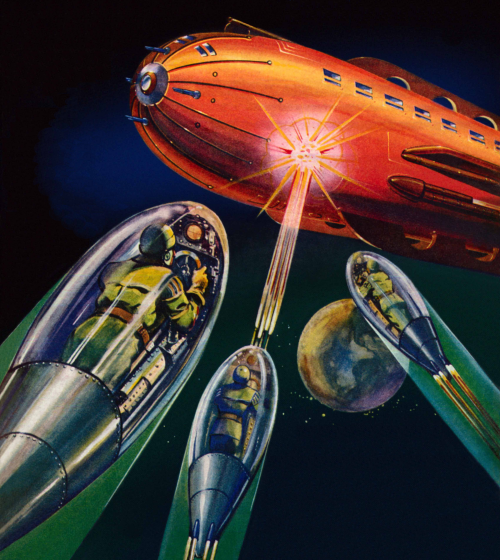 There is a way to acquire spaceship skills without accumulating vast amounts of experience. By attending spacefleet academy, a character becomes “qualified at the 1st level of a spaceship weapons skill and 2nd level of piloting, astrogation or spaceship engineering skill.” Students also receive any 'foundation' skills at whatever levels are needed. Spacefleet officers receive their training at the Gollwin Academy, which is the fleet war college. The academy is a huge group of space stations orbiting Morgaine's World. It offers a two year program in the tactics and strategy of interstellar combat. Its graduates assume the rank of Junior Lieutenants on Spacefleet vessels. There are, however, requirements for entering the academy. All cadets entering the academy must have scores of at least 50 in six of their eight abilities. The character's Leadership score must be higher than 50. As one might expect, “Piloting skill allows a character to fly a spaceship.” As foundation skills, piloting requires Computer 2 and Technician 6. At first level of ability, only “system” ships can be flown. Starting at second level, the character can pilot starships of increasing volumes of hull size. At sixth level, a character can pilot “All starships.” Piloting sub-skills include evasion, increase maneuver rating, and increase accuracy of forward firing weapons. With the astrogation skill, a character “can make the complicated calculations required to take a starship on a safe course through the Void.” ('The Void' is the Knight Hawks version of hyperspace. “Time is very distorted in the Void,” the introduction explains, “and space does not seem to exist at all.”) The foundation skill for astrogation is Computer 6. Subsets include find location, pilot interstellar jumps, and chart new routes. (“The UPF pays a standard bonus of 100,000 Cr for information on new travel routes.”). We are told, “Normal plotting time for a jump is 10 hours for each light-year that will be jumped.” If less time is spent preparing, the attempt “is called Risk Jumping, or 'smoking the jump. '” Risk jumping is another astrogation subskill. Included with the astrogation skill description is the Interstellar Distance Table. Given the vertical separation and horizontal separation between two stars, the table provides the distance in light-years. This reinforces the notion that space is a two dimensional plane. “Spaceship engineers are trained in the construction, maintenance and repair of spaceships.” Both Technician 4 and Robotics 2 are needed as foundation skills. (So, spaceship engineering requires less technician competency than does piloting.) Subskills include damage control and stress analysis. Spaceship engineering also includes the subskill of ship design, having a success rate of 100%. Skill level determines the types of ship a character is qualified to design. At first level, the character can only design shuttles; at second level, “System ships of all types.” Starting at third level, a character can design starships of increasing hull size. One assumes the skill could also be used in conjunction with space stations.